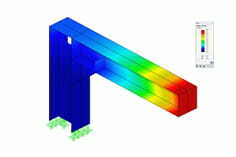 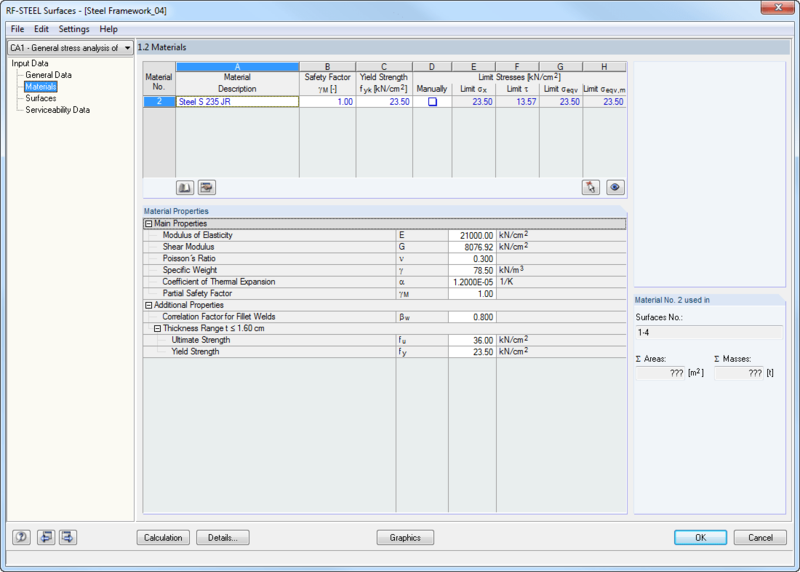 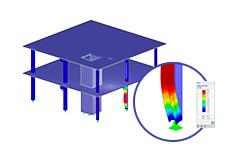 The RF-/STEEL add‑on module performs general stress analysis by calculating the existing stresses and comparing the results with limit stresses. 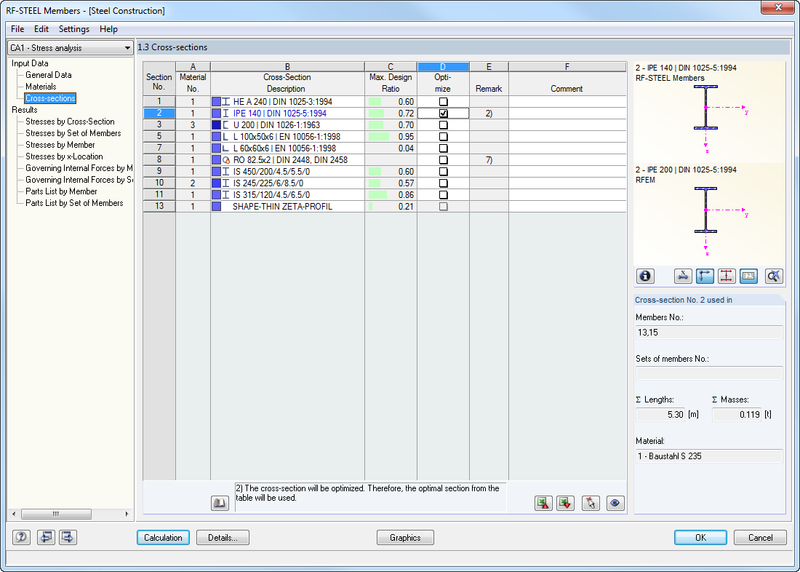 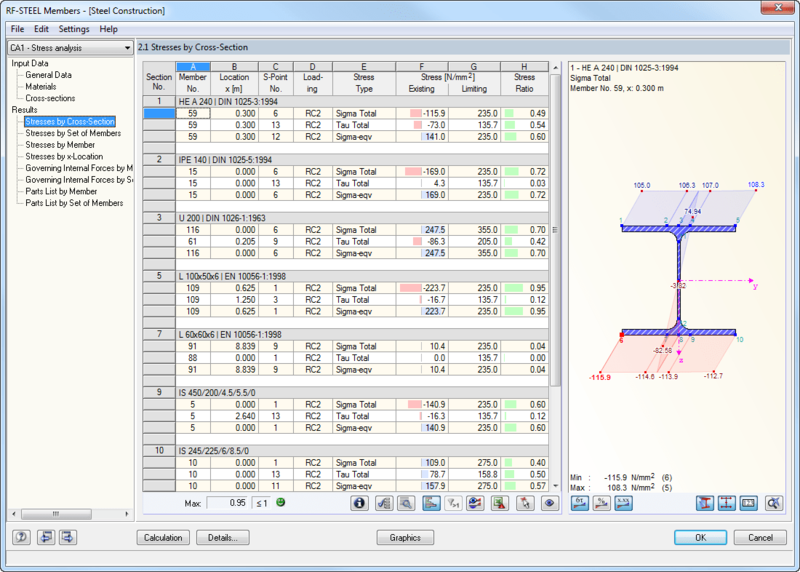 In the process of stress analysis, the add-on module determines the maximum stresses of surfaces (RFEM only), members, and sets of members. 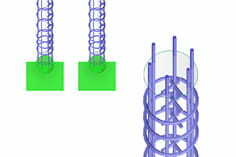 Also the governing internal forces of each member are documented. 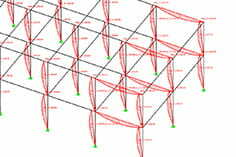 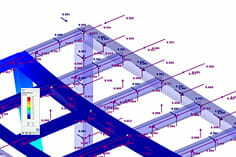 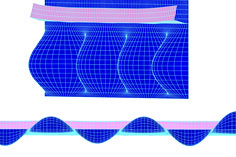 In addition, there is the option of an automatic optimization of cross-sections or thicknesses including the export of modified cross‑sections or surface thicknesses to the main program RFEM/RSTAB. 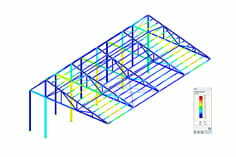 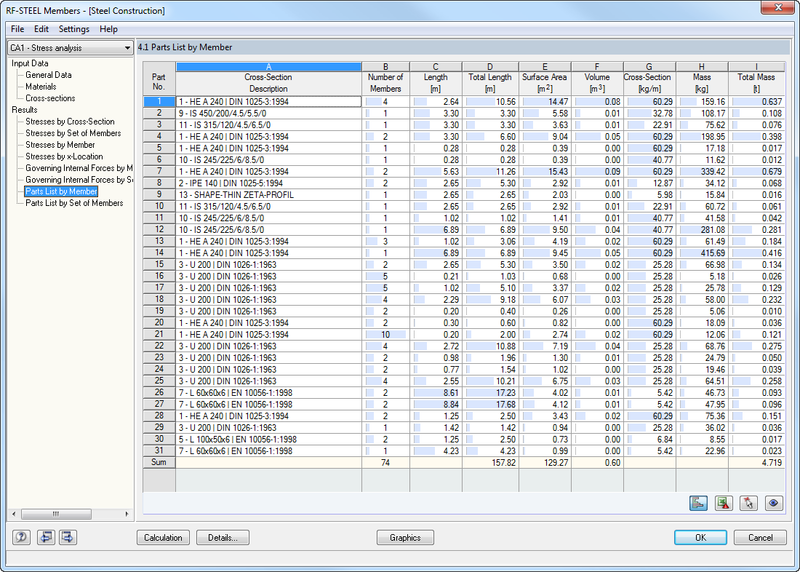 In order to facilitate the data input, there are surfaces, members, sets of members, materials, surface thicknesses, and cross-sections preset. 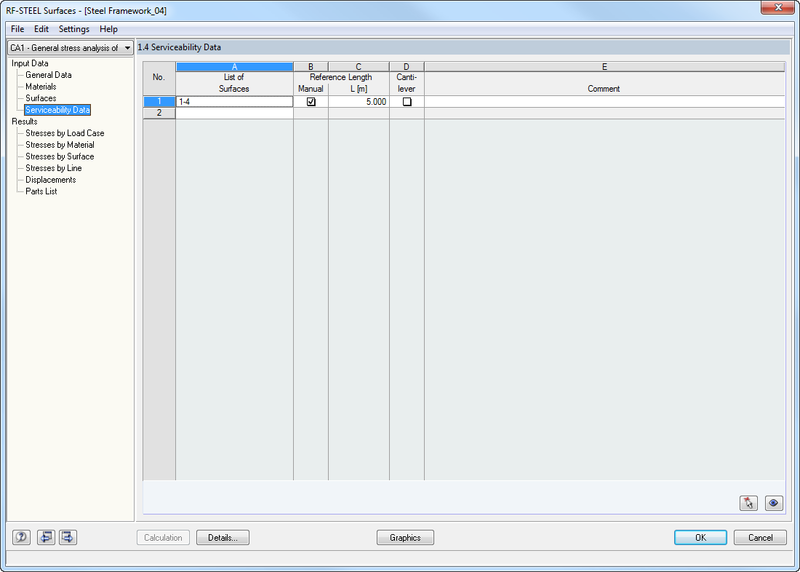 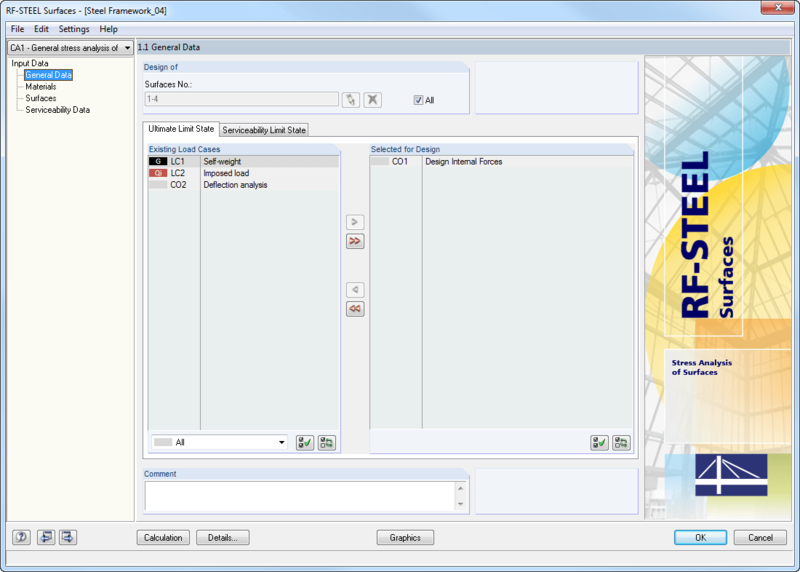 It is possible to select the elements graphically using the [Select] function. 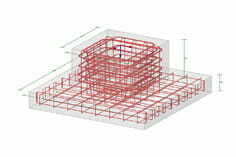 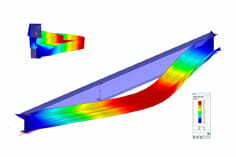 The program provides access to the global material and cross-section libraries. 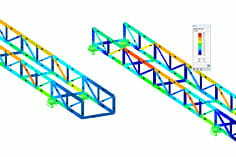 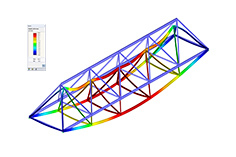 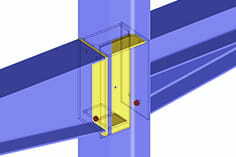 Load cases, load combinations, and result combinations can be combined in various design cases. 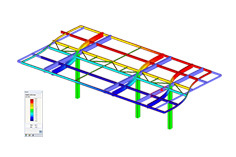 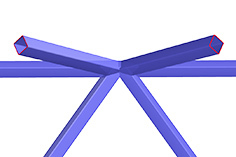 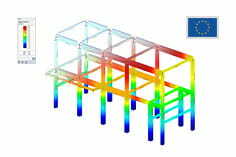 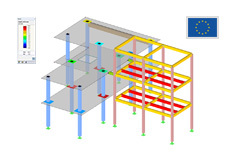 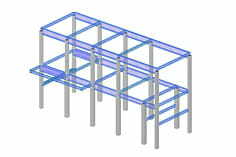 Combination of surface and member elements and separate designs allow you to model and analyze only the critical areas such as frame joints by surface elements. 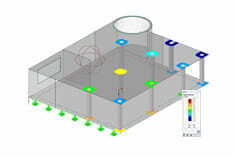 The other parts of the model can be designed by member analyses. 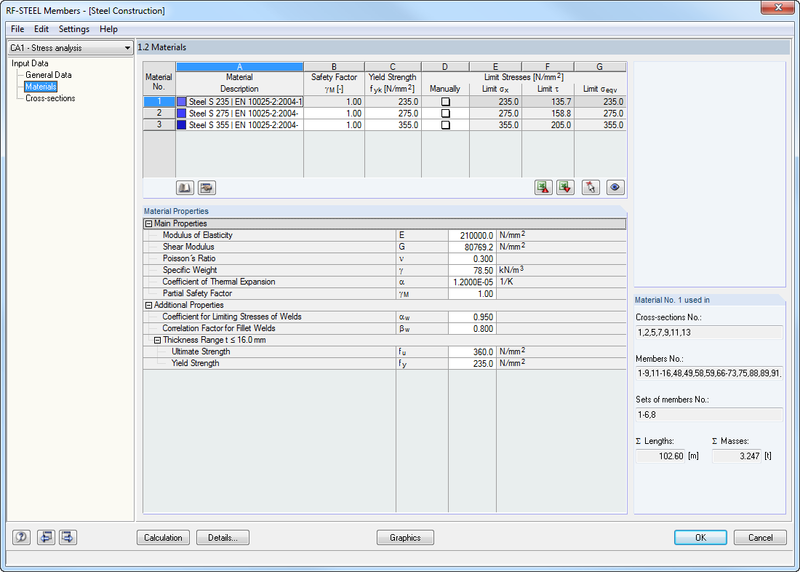 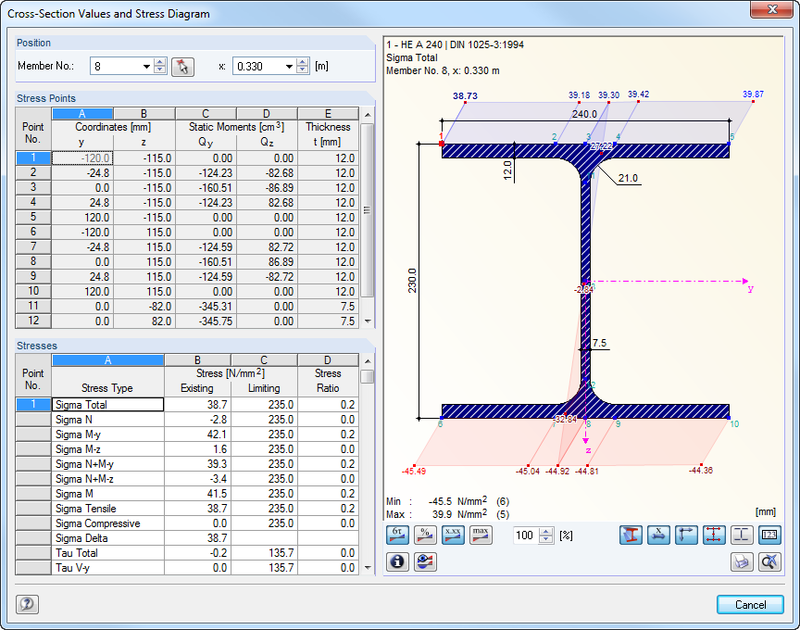 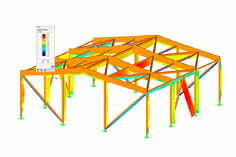 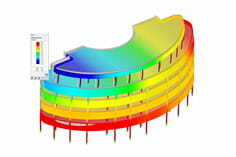 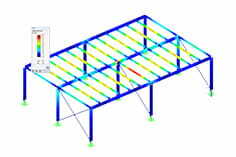 After the calculation, the module displays the maximum stresses and stress ratios sorted by cross-section, member or surface, set of members, and x-location. 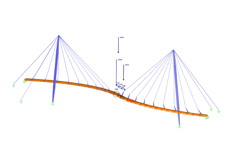 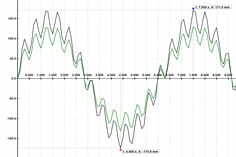 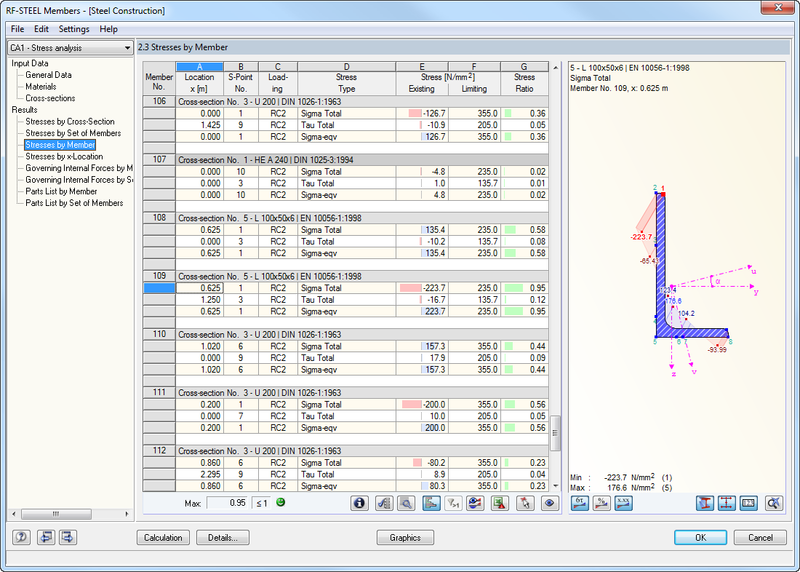 In addition to the result values in tables, the corresponding cross-section graphic including stress points, stress diagrams, and values is displayed as well. 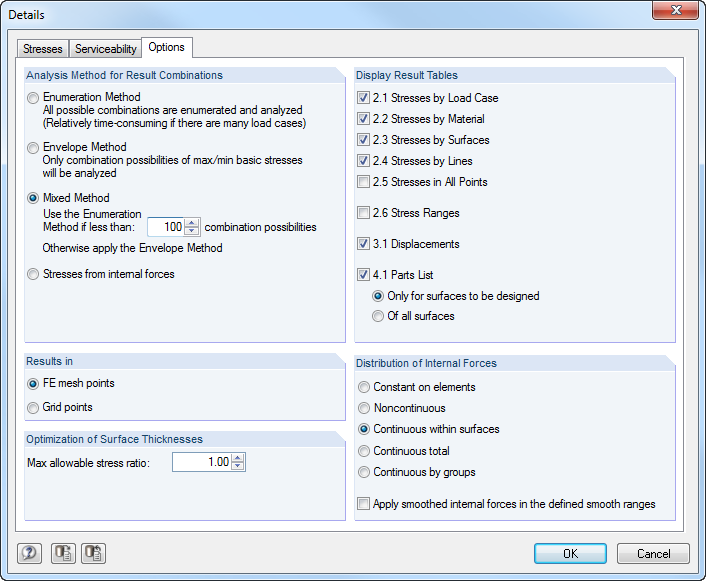 The stress ratio can refer to any kind of stress type. 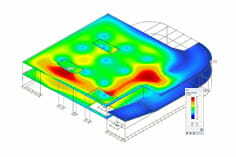 The current location is highlighted in the RFEM/RSTAB model. 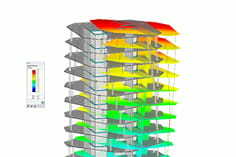 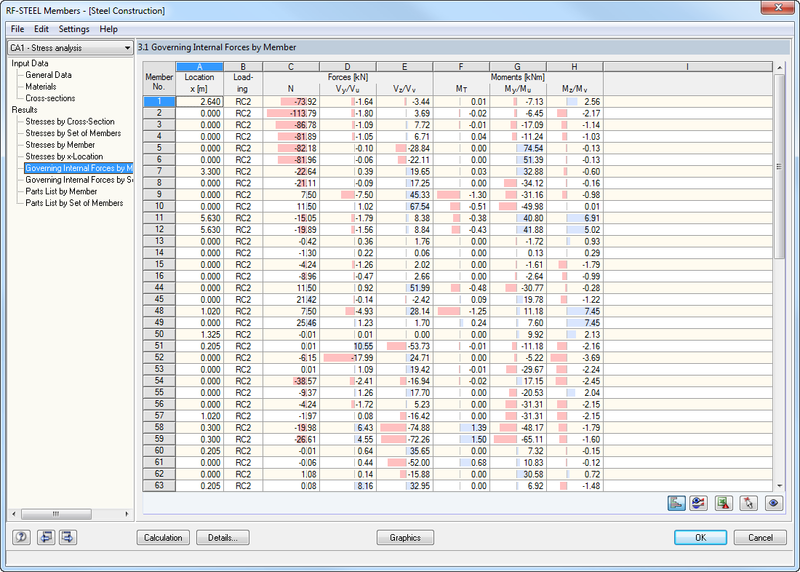 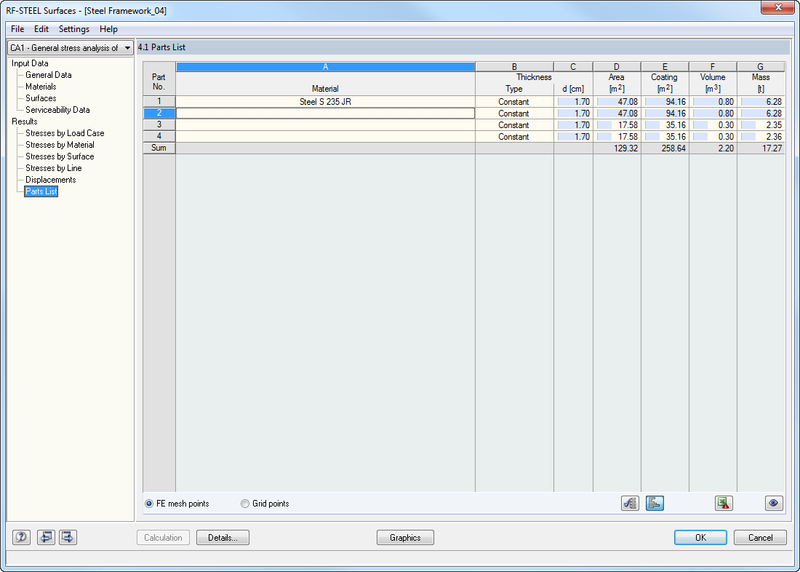 In addition to the result evaluation in the module, it is possible to represent the stresses and stress ratios graphically in the RFEM/RSTAB work window. 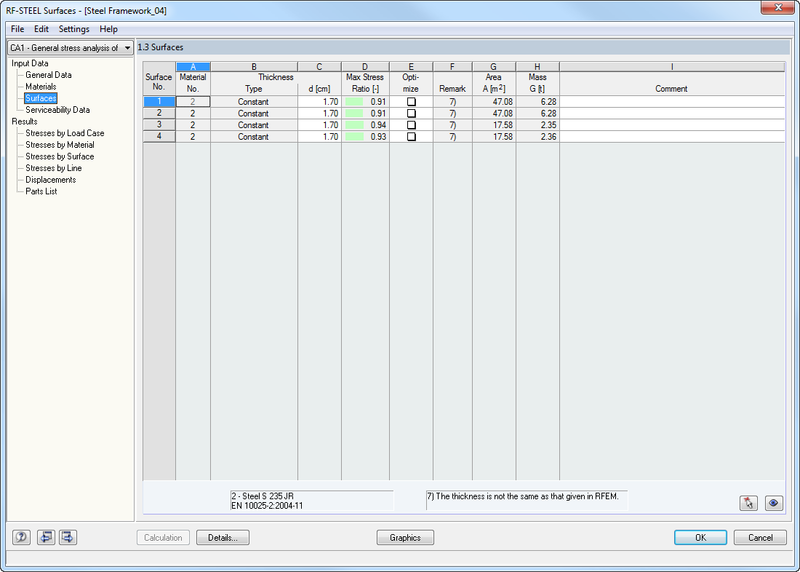 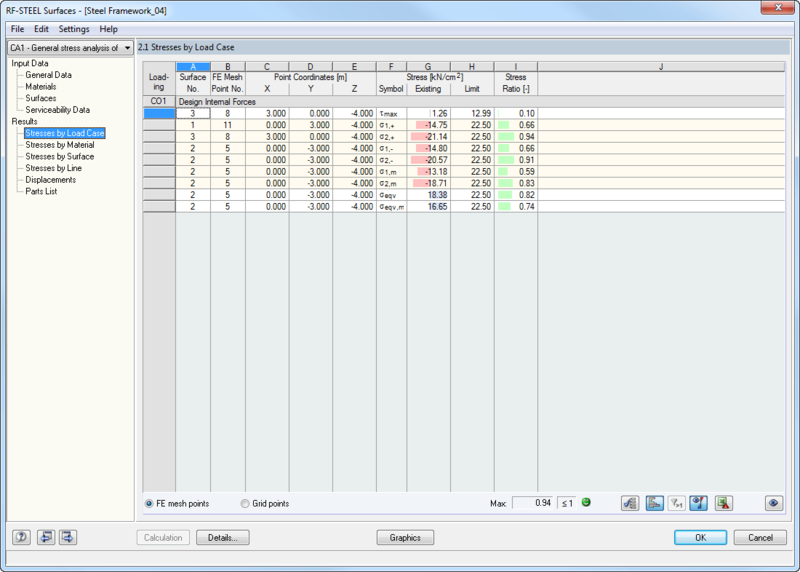 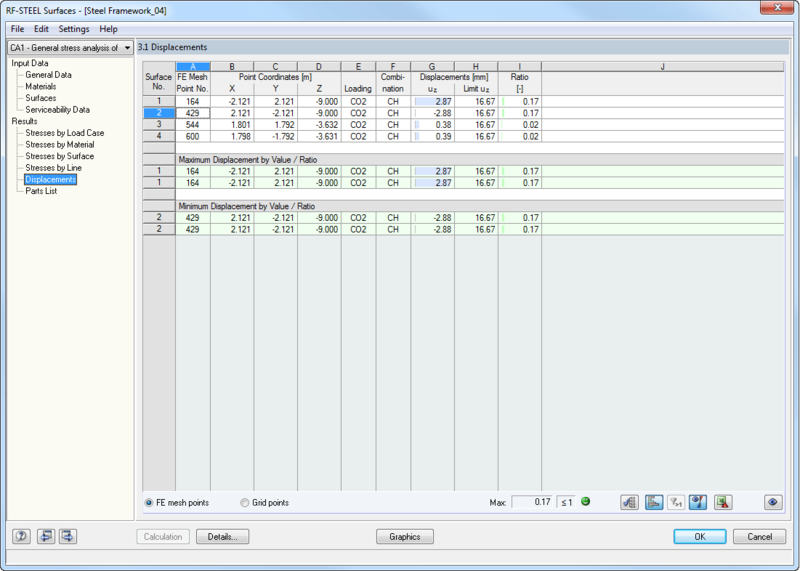 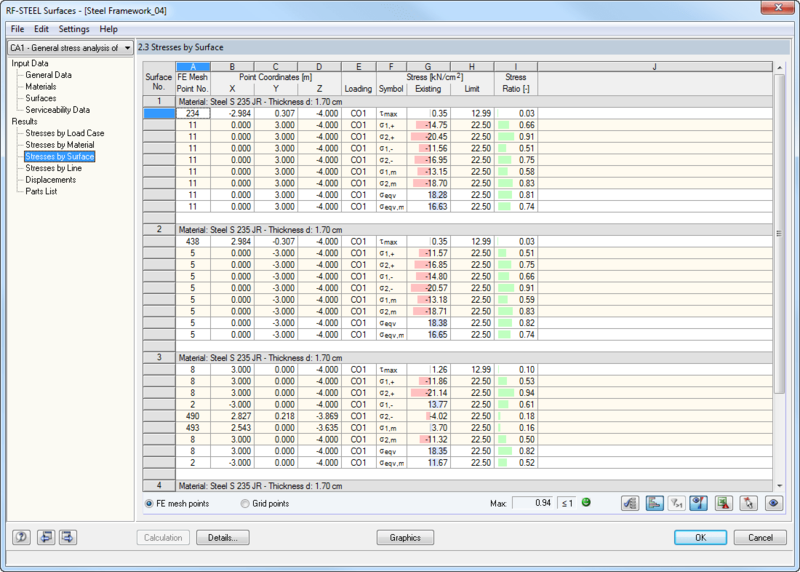 It is possible to individually adjust the colors and values. 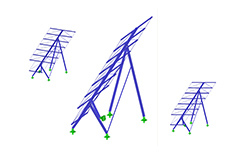 Result diagrams of a member or set of members facilitate targeted evaluation. 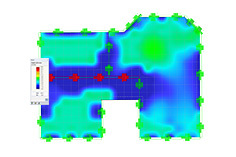 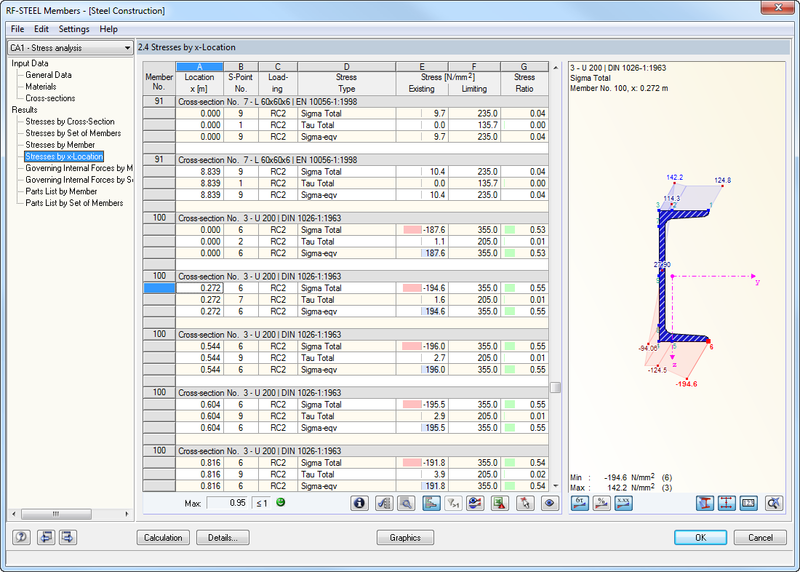 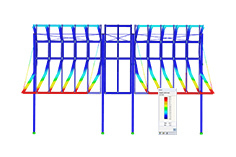 Furthermore, you can open the respective dialog box of each design location to check the design-relevant cross-section properties and stress components of all stress points. 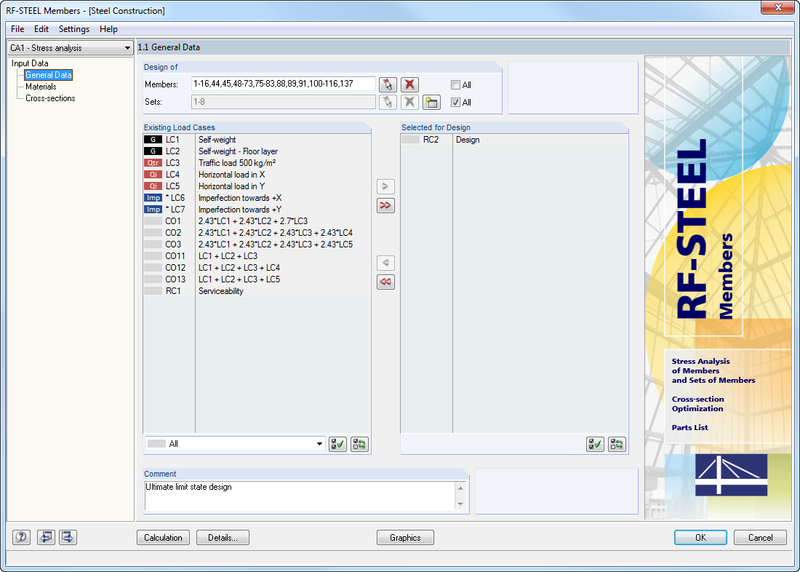 It is possible to print the corresponding graphic including all design details.